The move proved prescient. Released in December 2017, the accompanying psychedelic clip gave fans the first real glimpse of Lil Mosey and instantly became an internet sensation, racking up 50,000 views in its first week. In a month, it was up to 300,000. Today, the “Pull Up” video has more than 18+ million views. 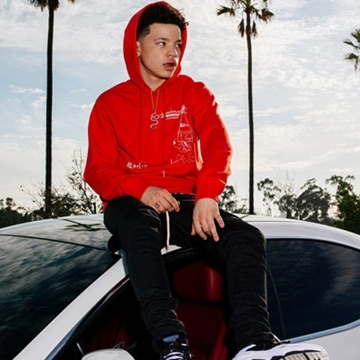 Buoyed by the success of “Pull Up” and subsequent single “Boof Pack” (more than nine million YouTube views), Lil Mosey moved to Los Angeles in January 2018. In July, he unleashed the video for the single “Noticed,” a remake of one of his early songs. The Cole Bennett-directed clip reached 39+ million views on Lyrical Lemonade. Lil Mosey shows no signs of slowing down with release of his latest project Northsbest.